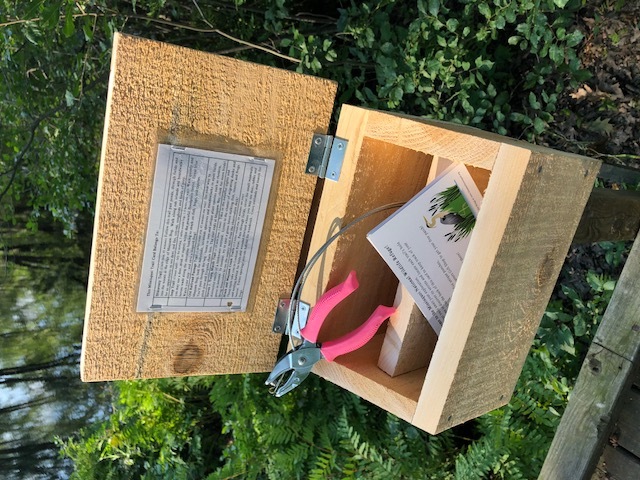 Free Trail Cards will help you (or your kids or your students, etc.) 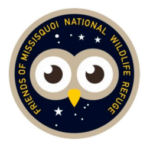 track your progress toward hiking all 5 trails on the Refuge. (Note that the Jeep Trail is closed from April to the end of July). 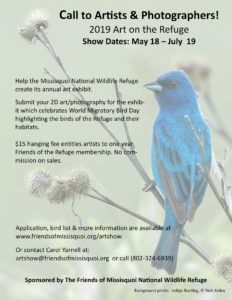 Trail cards are available at the Refuge Visitor Center on Tabor Road, or print your own below. 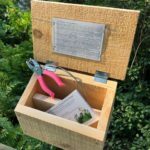 While exploring each trail, be on the lookout for a small wooden box. Inside this box is a unique hole punch. Locate the box and punch out the trail’s respective space on your card. 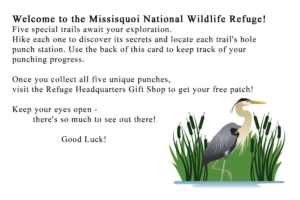 Once you’ve hiked all 5 trails and acquired all 5 unique punches on your card, return to the refuge headquarters during operating hours to claim your prize – a unique sew-on patch (pictured at left), created specifically for the Trail Card Program, and only available to those intrepid individuals who have conquered all 5 trails! 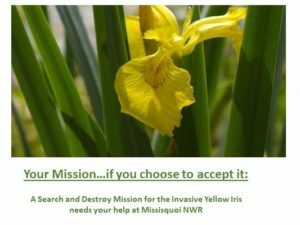 Good luck on your Trail quest!